Do you have a decade’s party coming up? Is Halloween right around the corner, again? Well, why not go out in a costume that is also quite fashionable? This year you’ll be the most stylish dude in the party scene when you walk through the door wearing this Men’s 80’s Height of Fashion Suit! 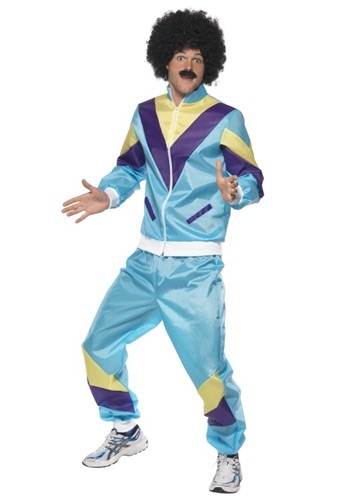 Believe it or not, this costume would have once been considered rather hip and happening back in the day. If you walked around in a coordinating tracksuit everyone knew you were on the direct track to success. 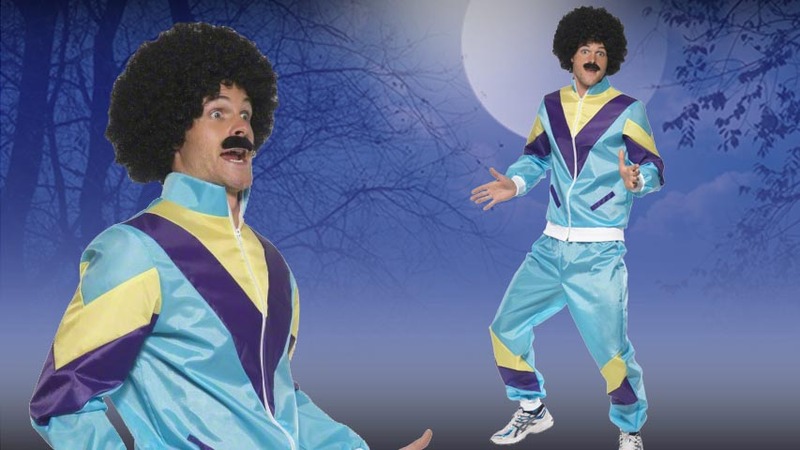 So when you show up to the costume parties wearing this fashionable blue, purple, and yellow polyester suit everyone is going to know that you are indeed a big deal. Now, in order to give this transformation more of an 80’s feel to it, we suggest looking at some of our accessories. You can never go wrong with a bangin’ fro and back then everyone loved a big bushy stache. So take a look at the variety of Afro wigs as well as the facial hair accessories we have available. Then you need to add a little bit of flair to this outfit. Get your hands on some awesome golden jewelry: chains, rings, a bracelet or two, and you’ll be all set to dance the night away. Make sure to practice moves from the right decade. 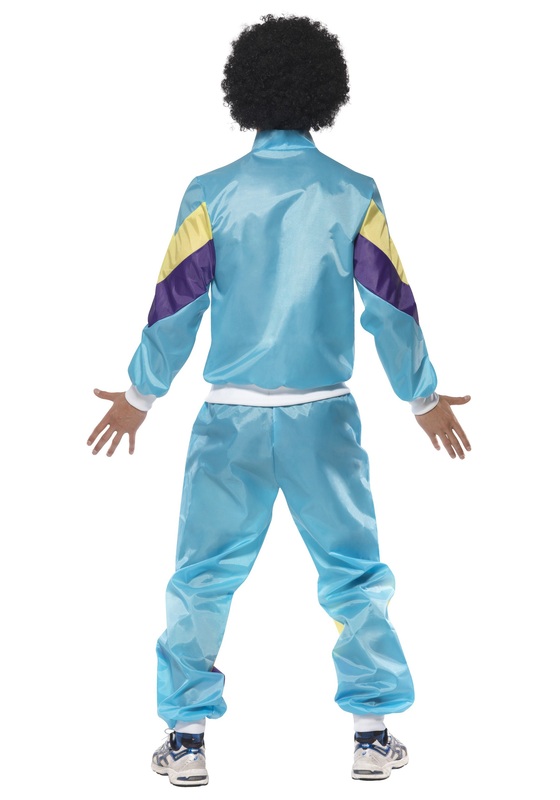 The 80’s has classic moves such as The Robot, Moonwalking, The Worm, and many more, so study up and give everyone a blast to the past this Halloween with this style-ish costume! It might look good on a picture, but it is made from pure plastic! If you enjoy sauna go for it... Even $10 would be too much to pay for it.